Today was Day #6 of Chocolate and Caramel Theme Week, and today's chocolate covered caramel came in bar form. 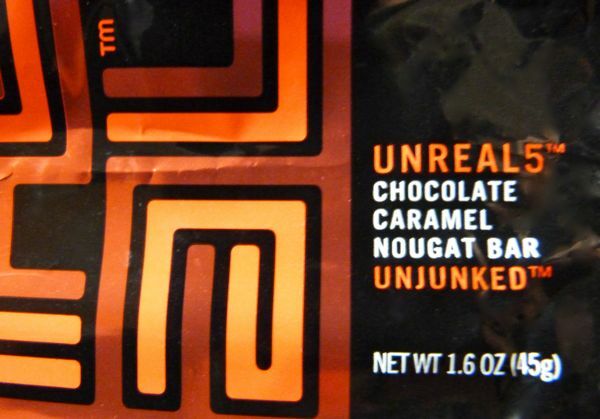 A relative newcomer (2010) to the chocolate candy market, Unreal Brands is based in Boston, MA. 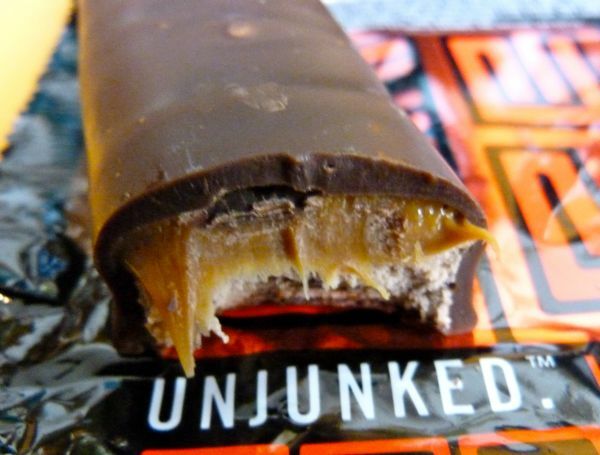 The company's Chocolate Caramel Nougat Bar looked like an ordinary candy bar, but the company refers to their offerings as "Unjunked" -- made without artificial ingredients, preservatives, GMOs, hydrogenated oils and corn syrups frequently found in store-bought caramels and candy bars. I enjoyed getting less of a sugar/corn syrup buzz with this Unjunked bar, as I have from other Unreal bars. My favorite Unjunked item so far has been Unreal's caramel bar with peanuts (similar to a Mars Snickers bar), but that may have more to do with my love of nuts, and preference for Snickers bars (over other bars without nuts) when I was young. I still eat a handful of nuts to help balance out sweet items.